When we think of world leaders, what often comes to mind? According to Forbes, the top ten qualities a good leader are honesty, delegation, communication, confidence, commitment, a positive attitude, creativity, intuition, the ability to inspire and being approachable. That is quite a list and it’s hard to knock any of the aforementioned qualities, as they are all honorable attributes to impart upon any leader. However, when we think of our leaders today, would we use any of those characteristics to describe them? While those traits might apply to some leaders, I would strongly argue that most people have a lot harsher comments to throw around when trying to describe our so-called “leaders,” especially by those who have started to awaken to the reality of our current situation. Looking at the chaotic nature of today’s society and the obvious inequalities that stick out like a sore thumb, it seems our world leaders are more clearly defined by terms such as greedy, power hungry, criminal, psychopathic, manipulative, and are overall parasitical in their nature. Obviously this is a blanket statement that doesn’t apply to every single person, as there as many honorable leaders out there, but when we think of our leaders as a whole in areas such as government, banking, entertainment, or big business, it’s hard not to come to such negative conclusions. The destructive actions of these fraudulent leaders can be seen in many different ways, such as the flawed design of money, the bias of media, the corruption of government, the looting of big business, the obfuscation of science, the obstruction of history, and the list could go on and on. Things don’t happen by accident either, there are always people behind actions and structural design. It shouldn’t take a rocket scientist to figure out that the leaders of today are not out to lead us to a land of freedom and prosperity, but instead are out to further dominate and control life on this planet. So what can we do? The answer lies in reframing our perception of leadership and putting those perceptions into action. The seed to understanding what real leadership embodies is to first understand that above all, YOU are the leader of yourself. This is usually a concept that is affiliated with anarchism, but in reality, this should be a cornerstone to all ideologies. Society functions best when citizens are strong enough to lead themselves. When someone becomes the leader of Self, they are in charge of their own destiny for better or for worse, but at least they get to decide in the end. They don’t need external leaders to take care of them or tell them what to do because they can take care of themselves. They understand fundamentally that not everyone walks the same path, but we each walk our own path. In this regard, they know that the Self is the ultimate compass behind all the onion layers of consciousness. When people lack a self-compass, they become like sheep, easy to herd by stronger forces that seek control. What many people don’t realize is that today’s world has made it far easier than ever for people to lead themselves. For starters, the Internet has dropped an ever-expanding reservoir of knowledge into the palms of most the world at an almost instantaneous speed. You can literally learn almost anything on the Internet if you really want to; such as how to grow food, build a car, or make a Rodin coil. This knowledge coupled with personal responsibility, allows individuals to build entire lives without much external help. Not only can people learn to build in the physical world, but people can grow in spiritual understanding and intellect through the development of Self. We can grow our consciousness to immense heights and strengthen our intuition to decipher reality without the need of ever being told what it is. Self will always be the core leader of any being. Now just because someone becomes a leader of Self doesn’t mean they are without the need for external leaders to help people along the journey. In reality, it’s very beneficial to have wiser elders who can accelerate our own learning curve, possibly taking our knowledge base and understanding to even higher levels than the previous leaders. Wisdom and leadership are also crucial in providing structure. We live in a collective reality, where numerous beings and forces interplay, so thinking one is an isolated being would be naïve. In order for life to flourish in any type of balance there must be understandings and structure amongst the collective. This allows us all to navigate freely without constantly getting in each other’s way. Just look at kids who are raised with role models and support systems compared to kids who do not, and the importance of structure and support become patently clear. 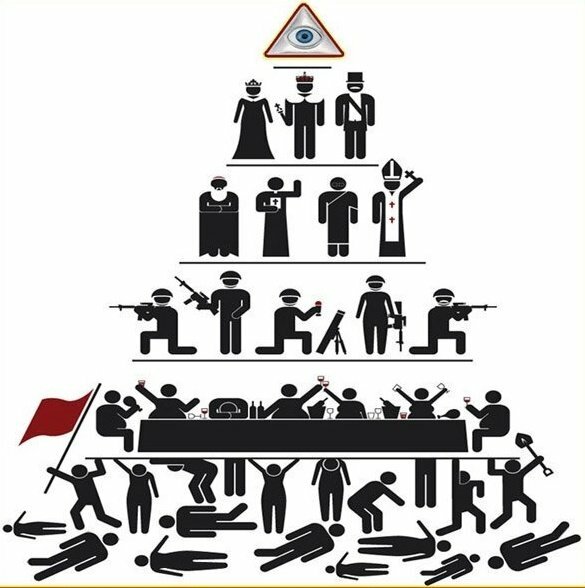 There will always be some vertical hierarchy/structure to society, and if we implement it properly, it can transcend humanity. The problem today is that we look at our leaders in the wrong ways. Our leaders today have become symbols of power, wealth, beauty, and supreme intellect. We look at them almost as gods or rulers, instead of leaders. I am not implying that being rich, pretty, smart, or powerful is a bad thing, but when you’re a symbolic image that lacks the real substance of wisdom and action beneath the surface, then it’s highly dangerous for society to embrace these leaders. A true leader nudges you on a path of self-discovery, letting you figure out the answers to problems for yourself, and does not aim to exercise control over you, telling you what to do and where to go. 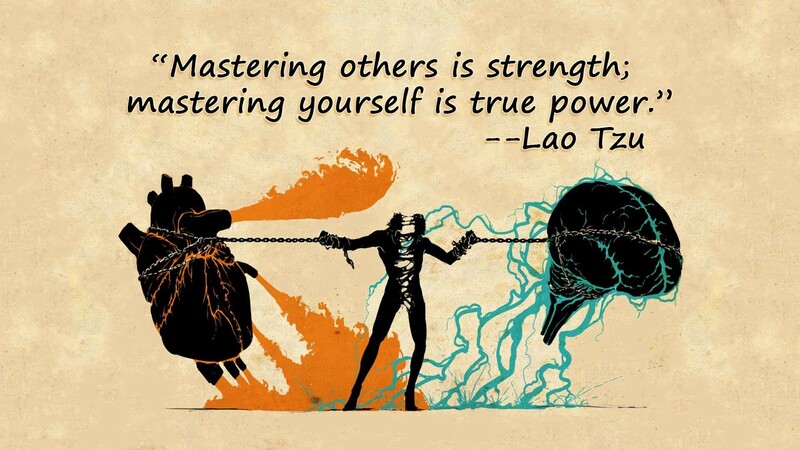 That is a master, and masters are not leaders. Masters aim to control you and influence you for their own gains; leaders push societies in directions that the people want for the people’s benefit. They give us the power to lead ourselves and provide words of wisdom along our journey. But it is never a journey of their choosing, it is our journey and they are only aids. We might not like their words at times, but a true leader speaks in truth no matter the form. While true leaders might have power and make important decisions, this is power that people want them to have. The people voluntarily bestow power upon these leaders not because they are afraid or need rulers, but because of the wisdom of this leader, which has been earned over time and is trusted as a strong voice in society. 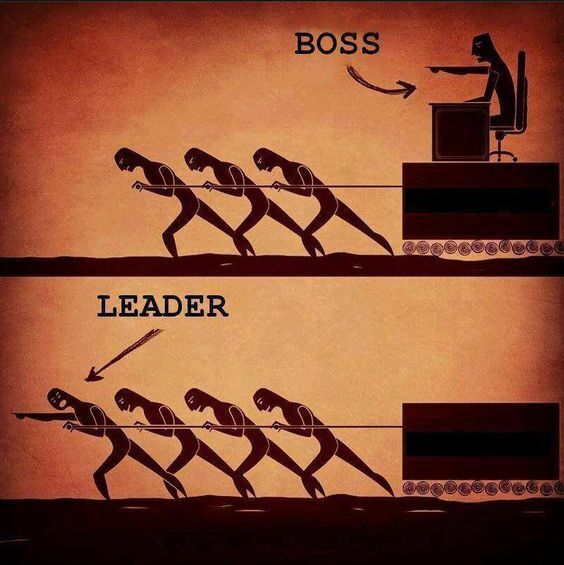 The leader never took the position by force, they earned it and the people bestowed it upon them. It’s like a king who is a direct symbolic representation of the will of the people. It can be a positive symbol if understood correctly. We must begin to understand that a “leader” is not a position, it’s an attitude. Anyone who consciously makes the choice to take care of those around them, potentially at their own detriment, is a true leader, not simply one by name, or one achieved through social status alone as we all too often see today. We need to begin to see that we can lead ourselves and our communities, and we must never be afraid to listen to those who have proven themselves worthy of wisdom, because sometimes they can accelerate your growth. Leaders are flawed like us, but the truly enlightened ones have wisdom to transcend these imperfections into an ultimate service of love and light. It would be foolish for us not to listen to them as their light can benefit us all. However, in the end, you must ultimately be able to shine from within. You are a star and you can manifest your own light. Through this manifestation, your example will naturally lead others to their own path of self-discovery. This is the seed of true leadership.